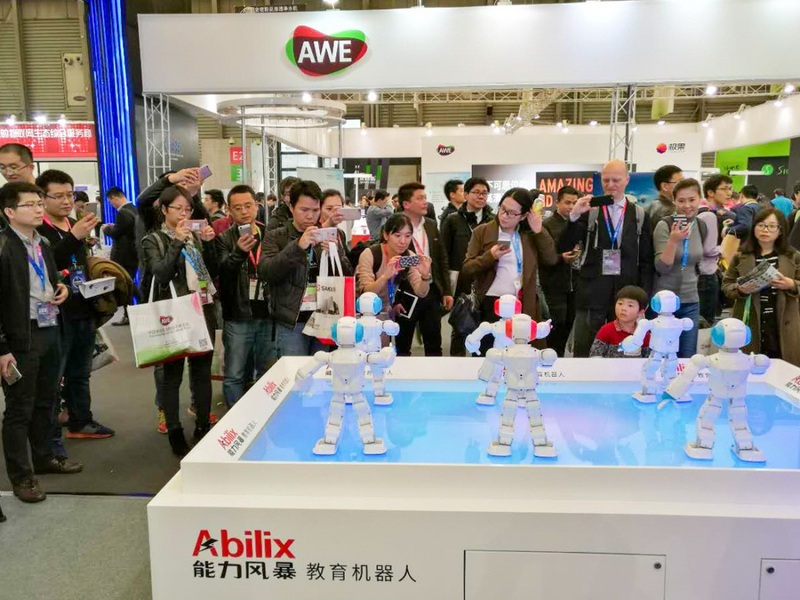 From March 9th to March 11th, the annual AWE, Appliance & electronics World Expo, one of the appliance and electronics expo that draws most attention took place. 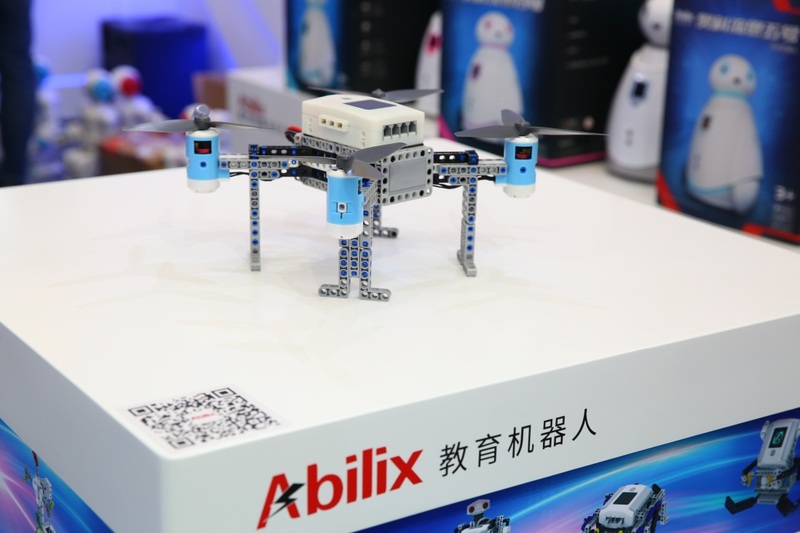 Abilix, with its 20-year profound capacity, settled into the science and technology park established by the organizer with its latest flying brick series. The theme of 2017 AWE is Intelligent Life. 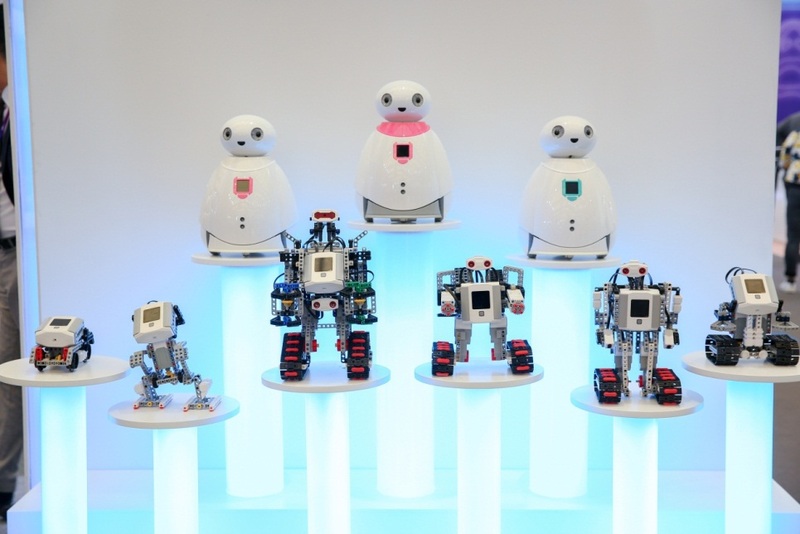 Besides the close attention into the intelligent ecology exploration of traditional appliance manufacturers, it will extend its prospect and outlook into household intelligent life, willing to present the more extensive intelligent life onto stage so that household educational robots can become indispensable intelligent product in life. As introduced, the park is co-founded by Abilix and jiguo.com. As a highlight and unique exhibition zone, six areas are including artificial intelligence, global release conference, intelligent getting out, intelligent life, sports and life and intelligent entertainment. The whole area reaches 6000 square meters. Nearly one hundred enterprises designing future life presented the Expo. Besides the latest flying brick series, other mature products also presented, which gives a universal overlook of the future robotic application and development. Unmanned plane is no wonder a heated intelligent product for the time being. However, the existing unmanned planes are all complete products. We can hardly see unmanned planes for assembling. It is Abilix that created the flying brick robot cater for adolescents for them to program and build. The flying brick series Argon is both available to build and to make free flight, which is designed to help those robot lovers to realize a buildable flying dream. Argon boasts various sensors, which assembled functions like gyro, barometer, propeller protector and camera. Meanwhile, its unique soft-capsule propeller and the protective screening can protect both the propeller and kid. The four programming Apps possesses voice and face recognition functions. It is a kind of brick unmanned plane not only to realize the dream to fly, but also to integrate the programming and teaching. 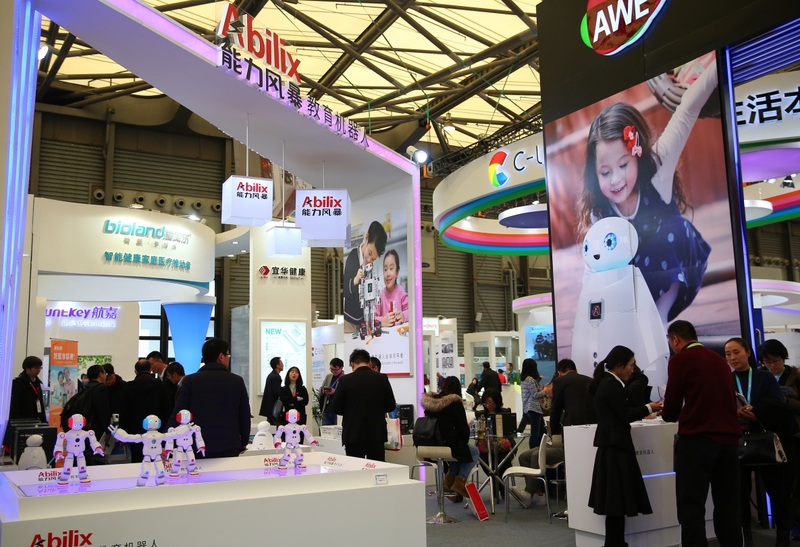 Despite the latest products, the four main products of Abilix: brick series Krypton, mobile series Oculus, flying series Iris and humanoid series Everest presented at AWE science and technology park. The lively sky wheel built up with Krypton, the Oculus able to sing and vacuum, the Everest able to dance with popular songs at integral points...these robots continuously brought climax to the exhibition and attracted numerous customers. The park of AWE this year is designed to cater the concept of AI. As introduced, the park is going to unite more than a hundred enterprises to bring the latest, craziest and transboundary robot entity and AI technology, thus enabling participants to experience the life in the future. As leader of educational robot, Abilix has foreseen the crucial influence artificial intelligence to our lives in the future since its established. So Abilix dug into the educational value of robots. Kids can get contact and study computer languages since they are young, so that their success ability, consisting of creative, practical and analytic abilities can be cultivated. It is obvious that most people’s knowledge to AI remain restricted to introduction of the media. To truly understand its application, we have to study its programming and computer language. Abilix educational robot makes it easier for adolescents to know artificial intelligence and at the same time lift their space of imagination. 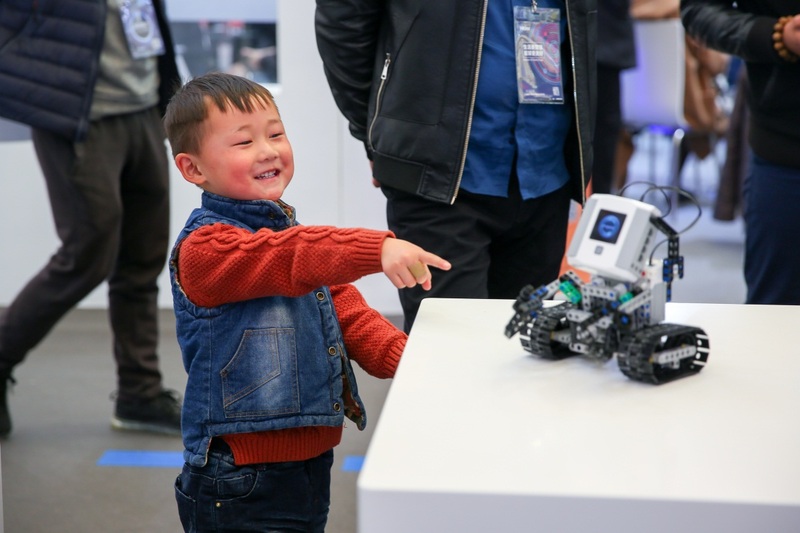 “In the past twenty years, we have been focused on educational robots, we have been cultivating the market. Our dream is that every child can possess an educational robot. It is this dream and the determined mind that make us insist. Now we have welcomed the best era to realize this dream.” said the brand head.